In the noisy ever changing world of marketing how do you break through and get heard? How do you build trust and authority and get people lined up to buy your offerings? 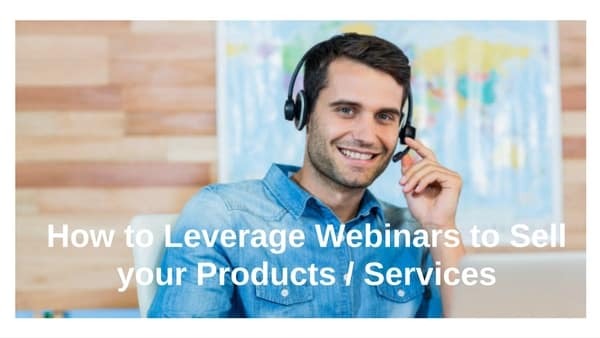 Webinars are a intimate scaleable way to demonstrate your expertise, give value, build relationship, spend time with target customers and generate leads & sales. It does depend what you are selling but 2 of the best ways to sell are; in person events and webinars. Yes not blog posts, not social media, not articles or networking. What works is to deliver transformation, that is show users where they are now → to where they could be. I remember one week where business was a bit quiet and i had a new offering and needed some customers so i thought why don’t I do a webinar on the topic. It was about Marketing Automation, i whipped up a landing page on Leadpages which is a great tool to get a sales page up on , shot a quick intro and thankyou video and put it out there. About 30 something people signed up, at run time i had just under 20 on the live webinar. Putting the stake in the sand forced me to put together a 45 min preso on the topic, including creating a free gift to get people in and another to give away at end of webinar PLUS having a offer for attendees. After the event i closed a sizeable deal within 3 days and had 2 other discovery calls booked. work on the value proposition, what will attendees get from spending time with you? What is the big idea behind your preso? offer a nice lead magnet, checklist, cheatsheet to encourage sign ups. What is working is offering a enticing lead magnet of value to your target audience, with no mention of the webinar then on the download page offer the webinar to get more detailed instruction. be sure to not have the webinar to far off also, less than a week is good, even only a few days out is enough. if running evergreen webinar ou can have the next one starting in 30 mins and offer another in 24 hours. you can promote the webinar to your list, promote on social media , Facebook and Linkedin are very good for this. on Facebook you get a range of options to target audiences, you could for example target competitors, or authority figures like Tom Robbins audiences. 1; it will force you to hone your presentation on the topic you choose. 2; it will get you out there promoting something therefore drawing attention and dialogue. 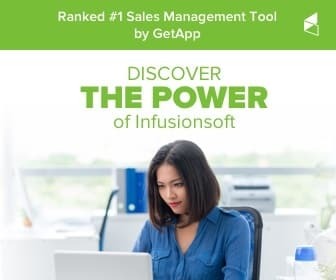 3; it will bring leads and sales to your business! There are different types of webinars you can be doing also, Educational, Group Coaching, Q&A. Worth mentioning is the disruptor Facebook Live which is great for Q&A and more. You can do one off live webinars or run ‘Evergreen’ ondemand style. Practice running webinar 5-10 times before you record the evergreen version that way you will iron out kinks, get some feedback and have a solid presentation. Noting when recording the evergreen version don’t talk about Easter or Christmas etc. use free gift to registration page , then have video inviting to webinar. record 2-3 videos sharing more content, offer giveaway for attending. offer something they will only get if they stay to the end. killer offer that solves a problem they have right now. Remember make the event all about THEM, focus on their needs, the problems they are trying to solve. A confused mind does not buy so keep the message clear and simple dont put out too many ideas, people remember the beginning, the end and the stories. Having a big idea, a theme and presenting 3 ideas works well. Whilst on the webinar if not evergreen ask for audience engagement say hi at the front to specific attendees, ask for location and also running a survey is advisable. Length is of interest, if you say it is 1hr be done in this time, worth trying if you can make it work is even a 30 minute webinar be intentional & smash through your content clear and simple to get your message out. If doing a 60 or 90 minute allow time for Q&A and doing a followup survey really work. Establishes you as a authority. Better understand your audience, pay attention to the questions you get asked, well worth running a pre webinar survey and a post event survey. Webinars are a great way to build your list and get in front of new customers. They help you identify your goals, know your target customer personas and build your presentation skills. So pick a topic and get out there and promote your webinars. If you need any help with any of this reach out and let us know, i am here to help. P.S. don’t get hung up on the tech either, if that is a roadblock just get some help, focus on what you do well is the mantra here!